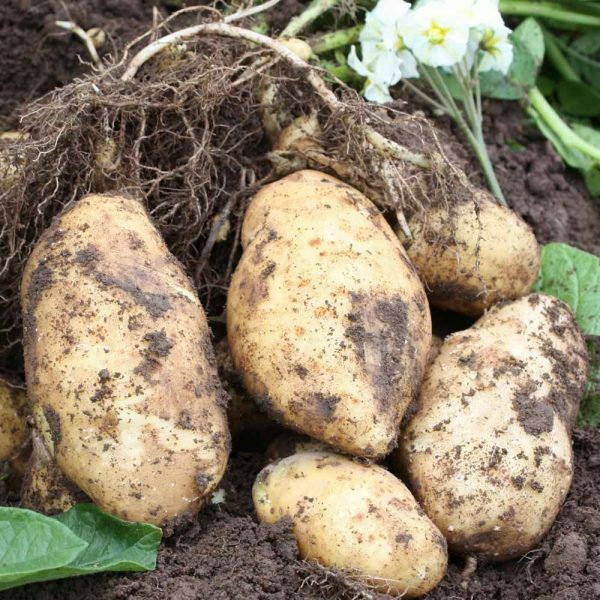 A long running heritage variety, highly regarded since its establishment in 1891. 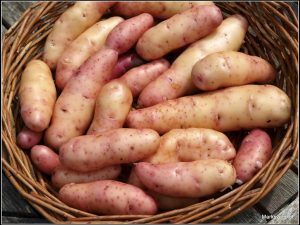 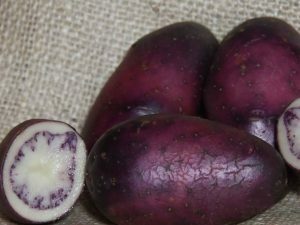 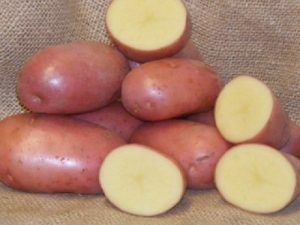 Duke of York potatoes have yellow flesh and are oval in shape. 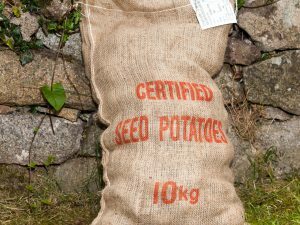 Once they are boiled the potatoes are dry and mealy, making them an ideal early to boil straight from your garden. 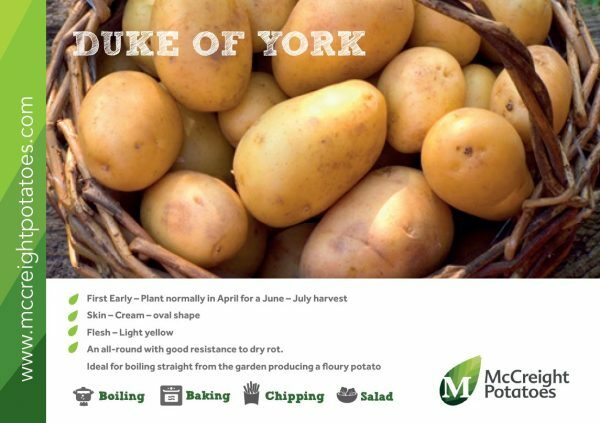 Duke of York has good resistance to dry rot. 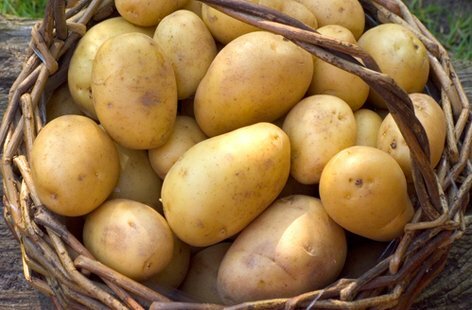 An all-round option, for any type of culinary endeavour!